Save Marinwood-Lucas Valley - our community, our future: The Biggest Problem With San Francisco’s Rent Crisis The suburbs. 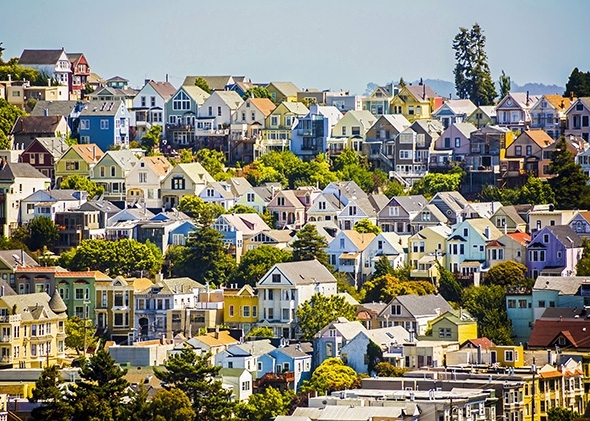 The Biggest Problem With San Francisco’s Rent Crisis The suburbs. Editor's Note: To urbanists, the problem with displacement has an easy fix, force development on the suburbs. The city dwellers want to make sweetheart deals with developers to increase the value of their housing stock and push the low/moderate income folks out to the suburbs. How will they do this? Through agencies like MTC who will force housing quotas in Marin. Goodbye to local control. The city doesn’t build nearly enough housing. But it doesn’t deserve to be the poster child for inaction. So, how do you get existing suburbs to build their share of housing? In the Bay, at least, the Association of Bay Area Governments (there are nine counties and more than a hundred municipalities) has for years set forth a “Regional Housing Need Allocation” that suggests how much housing various counties and towns should build. They rarely cut it: Marin County, where George Lucas is building affordable housingto spite his NIMBY neighbors, didn’t clear 30 percent of its “objective” in 2014. San Mateo was at 42 percent. The region as a whole built half what had been deemed necessary.